Tropical Asia is one of the most important biodiversity hotspots in the world, and yet, it is one of the most vulnerable to climate change and sea level increases. The region is home to a large number of threatened and endemic species, making it critical to integrate assessment and planning for effective conservation in the context of climate change. Located in a low-lying coastal region in Asia, Bangladesh lies in the transitional point between the Indo-Himalaya and Indo-Chinese sub-regions of the Orient. Within 147,570 square kilometers, it boasts a number of diverse ecosystems and an associated richness of unique plants and animals. The Sundarbans is the world’s largest contiguous mangrove forest (over 10,000 square kilometers in size) and it is shared between Bangladesh and India. It is also the world’s only mangrove forest with tigers. It represents the largest remaining Bengal tiger (Panthera tigris tigris) habitat, and is home to ~ 750 animals. Other fauna include the spotted deer (Axis axis), estuarine crocodile (Crocodylus porosus), rhesus macaque (Macaca mulatta), king cobra (Ophiophagus hannah), leopard cat (Prionailurus bengalensis), wild boar (Sus scrofa), fishing cat (Prionailurus viverrinus), Indian python (Python molurus), and over 275 bird species. This mangrove forest is a UNESCO-declared world heritage site and is ratified by the Ramsar Convention on Wetlands. 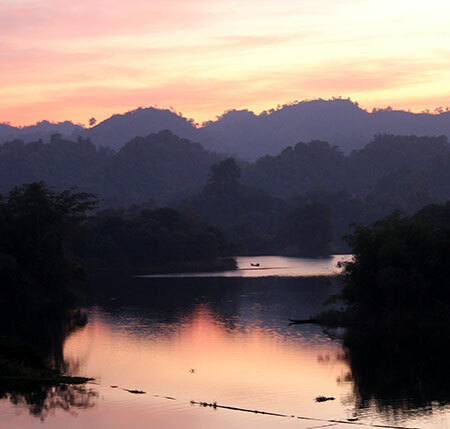 Lawachara National Park is best known for its faunal diversity. It spans over 12 square kilometers and is categorized as semi-evergreen forest. The park is home to 6 primate species, including the lesser ape, the Endangered western hoolock gibbon (Hoolock hoolock). Lawachara also boasts a large variety of herpetofauna and avifauna with several new species for Bangladesh having been reported recently, some by the course instructor himself. There are a number of private guest houses just outside of Lawachara National Park that are suitable for field course groups. All of them provide clean, modern rooms, washrooms, and meal services. Generally, 2 to 3 persons will share a room. Due to varying group sizes and availability, you will receive information of the precise guest house that will be used approximately one month prior to the start of the course. 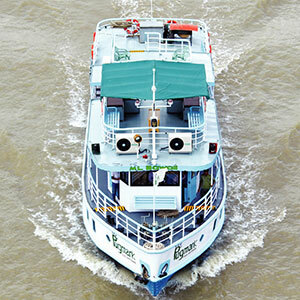 Lodging during our time in the Sundarbans will take place on a houseboat. The boats accommodate groups that are small to moderate in size. Each boat has several rooms with bunk beds, a dining room, a lounge, washrooms, coffee bar, and plenty of deck space for viewing plant and animal life. An example of the type of boat used is provided on the right. All boats have modern safety devices, lifebuoys, lifejackets, fire extinguishers, radio communication, GPS, and depth sounders. To enter the Sundarbans boat operators have to acquire permission from the forest department and 2 rangers travel on-board for the entire period that we are inside the forest. An additional motorboat also accompanies the main vessel and can be used in case of an emergency to ferry someone back to the main port quickly and safely to access emergency services. Breakfast: Hand made tortillas, seasonal mixed vegetables, fried eggs and/or chicken curry. Lunch and Dinner: Plain or fried rice, fish (mostly inland fish) or meat (chicken or beef curry), vegetables, and soup. Meals in the Sundarbans are very special, all of them being cooked on the moving boat. Freshly caught Sundarbans fish and shrimp will be offered during this leg of the course. December temperatures range from between 15C (59F) and 20C (68F). One can fly to Bangladesh on a number of international airline carriers We recommend using Kayak, Orbitz or Expedia to book your flights online to Dhaka, the country capital. Within Bangladesh all group travel between forest areas will be conducted by bus. Dhaka is in-between Lawachara, to the Northwest, and the Sundarbans, to the Southwest. 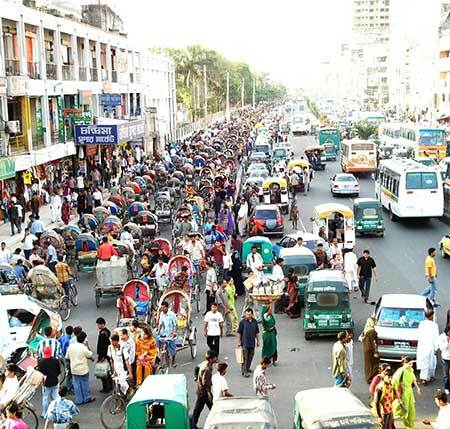 Land travel time between Dhaka and these two places is approximately 4 to 5 hours each way. Visas are required for entry into Bangladesh for citizens of most countries. Please see here for specific instructions. Although visas may be available upon arrival in Dhaka for some people, we strongly recommend applying for and acquiring a visa before travel. Processing time is ~5 business days. 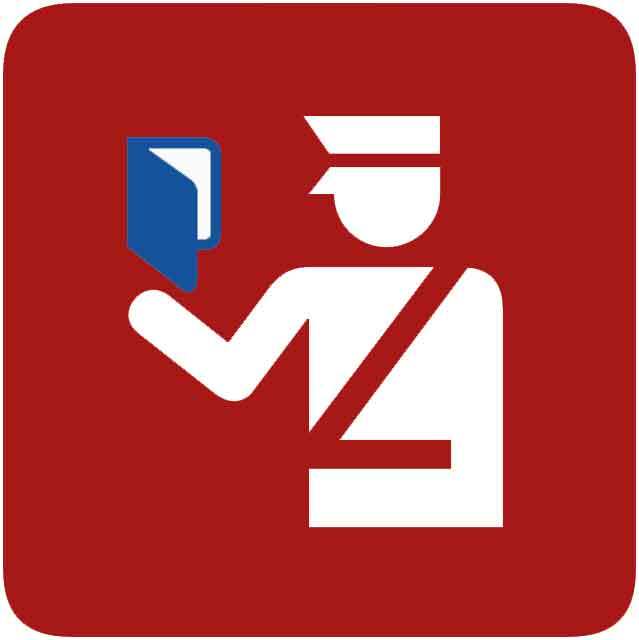 Please see this advice from the US Embassy within Bangladesh on applying for visas. It is usually a requirement that you have reserved your international travel before you apply for a visa. Do not wait until the last minute to apply for your visa, in case there are unforeseen complications.